14th Zurich Film Festival is taking place from 27th of September to October 7th, 2018. The festival brings together creative international filmmakers, who is competing for the Golden Eye Award. Also, you can enjoy the Gala Premieres of the most expected movies from all around the world. 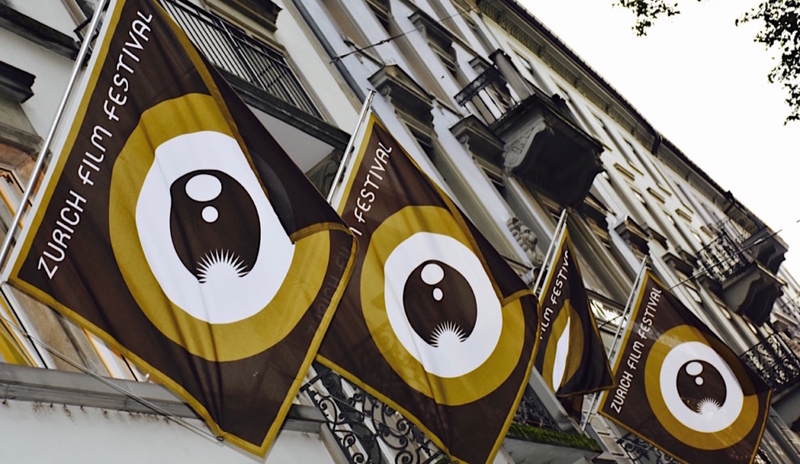 The festival’s history goes back to 2005, when the first film festival in Zurich took place. Since then, it has grown into a big, international and influential event in the film industry. Dates: September 27 – October 7, 2018. Festival Centre, located on Sechseläutenplatz, hosts most of the festival activities. You can come there by trams #2, 4, 5, 8, 9, 11, 15 until the tram stop “Bellevue”. You will find a bar, lounge and the ZFF store at the Festival centre as well as the tickets centre. Moreover, Green Carpets are taking place here. Working hours of the Festival Centre: Daily 11:00 – 21:00. As for tickets, you can purchase them either on the ZFF official website, on starticket.ch or at the festival locations. Corso Cinema: Theaterstrasse 10, 8001, Zurich. You can reach it by trams #2, 4, 5, 8, 9, 11, 15 until the tram stop “Bellevue”. Arthouse Le Paris: Gottfried-Keller-Strasse 7, 8001, Zurich. The trams #2, 4, 5, 8, 9 until the Bellevue tram stop; the trams #11, 15 till the Bahnhof Stadelofen tram stop. Arthouse Piccadilly: Mühlebachstrasse 2, 8008, Zürich. The trams #11, 15 to the Bahnhof Stadelofen tram stop. Arena Sihlcity: Kalanderplatz 8, 8045, Zurich. The trams #5, 13, 17 to the Sihlcity Nord. Filmpodium: Nüschelerstrasse 11, 8001, Zurich. The trams #2, 6, 7, 8, 9, 11, 13 until Paradeplatz; the trams #2, 9 to the Sihlstrasse tram stop. Kosmos: Lagerstrasse 104, 8004 Zürich. Bus 31, 32 until the stop Militär-/Langstrasse. Wim Wenders – „Tribute to … Award“. Judi Dench – “Golden Icon Award”. Donald Sutherland – “Lifetime Achievement Award”. Certainly, movie lovers are excited about festival’s program. And it exceeds all expectations. This year Zurich Film Festival is presenting the latest films from 48 countries. Among the more than 160 productions, 42 debut works, 12 world premieres, 16 Swiss films and 2 retrospectives. International Feature Film – GIRL by Lukas Dhont. International Documentary Film – HEARTBOUND by Janus Metz and Sine Plambech. Focus: Switzerland, Germany, Austria – L’ANIMALE by Katharina Mückstein. The awards in the two international competition categories are each endowed with a CHF 25’000 cash prize. The award in the Focus: Switzerland, Germany, Austria category is endowed with a CHF 20’000 cash prize. Until next year Zurich Film Festival! If you are interested to see photos and highlights from the previous film festivals, just enter ZFF in the search bar on the top of the page. Above all, have a great time at the cinema!